“Hi, I’m Lisa from Tree of Hearts, in this post I am going to explain how to go about choosing your wedding stationery and why it is important to set a theme in the very early stages of your planning. Why do I need to set a theme? 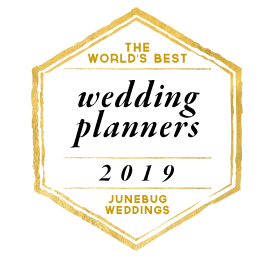 Setting a theme in the very early stages of your wedding planning will help you as you go on to choose wedding invitations, bridesmaid dresses, flowers, venue decorations, wedding cake and so on … ensuring it all looks perfect on your big day. Save the date cards and wedding invitations are often the first snippet your guests will get of your big day so try choosing something that is going to reflect this. 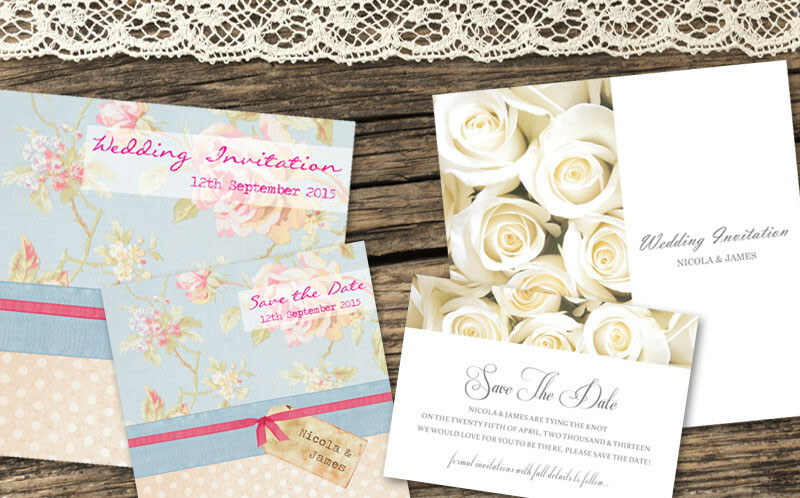 For example, here we have vintage style stationery on the left and traditional style stationery on the right, creating 2 very different looks. Some brides have their wedding day all mapped out before they have even met their man … but for some, they really haven’t got a clue where to start. With so much choice on the high street and online, deciding on 1 colour or theme can be difficult. At Tree of Hearts we recommend that you create a mood board, it is a great way to get your ideas flowing and can be fun too – do 2 or 3 or even more and see which idea comes together the best. 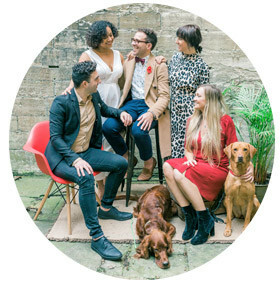 Creating a mood board is easy; this can be done by simply cutting out pictures from magazines, printing images off wedding websites, collecting fabric swatches and even by ordering wedding invitation samples. Here is an example of a vintage themed mood board which I have teamed up with the ‘Shabby Chic Heart & Flowers’ design from Tree of Hearts. 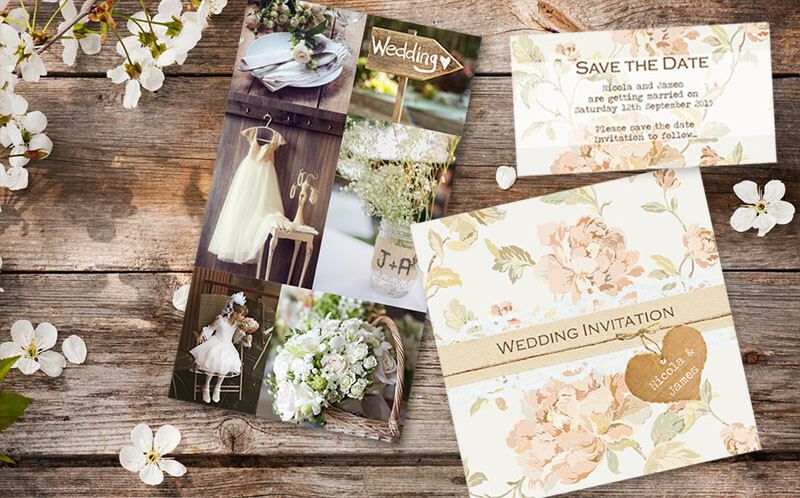 Once you have set your theme then shop around and order wedding invitation samples, these are often available free of charge from good wedding stationers. Having actual samples allow you to see and feel the quality of the product before you commit to buy, it also will give you an actual colour swatch as colours can appear quite differently on a computer screen – if you are shopping online. 1) What matching stationery will you need and is it available. Look out for items such as; order of service, table plans, table numbers, place cards, menus, favours – they are all items you are probably going to need. 2) How much will it all cost – there is no point having lavish wedding invitations if you can’t afford to have everything else to match. Just remember that you have a budget so stick to it. 3) What are the turnaround times. Some wedding stationers can turnaround orders in a few days, some may need a few months – which may not be suitable if you are tight on time. 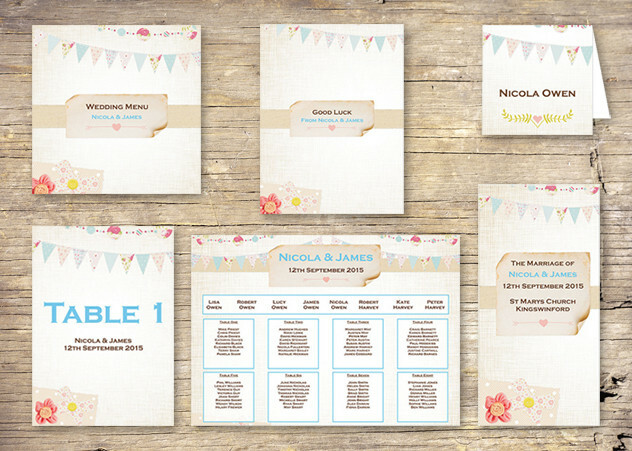 Here is an example of stationery that you will probably need for your venue. How amazing is all that?! Definitely worth a read! We would love to hear about your stationery, and what you have gone for? What colours and theme you have chosen? Wow.. Beautiful Wedding Card Design.. Good Work Dude..! !